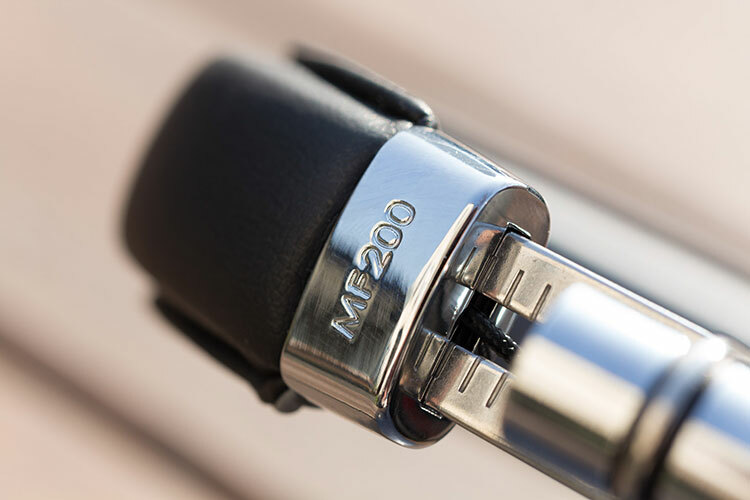 The pair of MF200s comes in a sleek white box. Logo, product name and the tag “superior performance headphones” are printed in shiny silver on the cover next to a side view of the headphones themselves. The backside has a short introduction and lists the accessories in the box. Of course you will find the usual claims like “very high quality” or “natural sound”, but there’s actually one feature that I find most interesting: “Musical Fidelity designed neodymium drive units.” I was wondering if this pair might be an OEM product but also the print “Designed in England/ Made in China” suggests otherwise. In the box you will find the pair of headphones, a 6,3mm adapter and a soft carrying pouch. 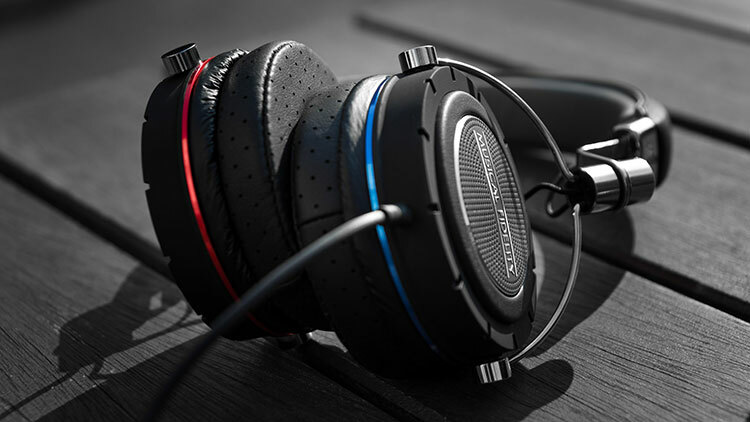 The headphone market continues to grow rapidly. 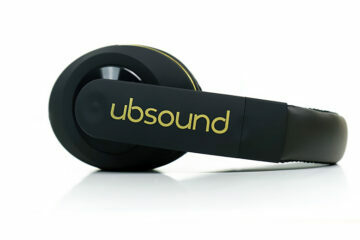 The competition is tough and most consumers rely on their first impressions when buying a new headphone. Many brands have noticed that an appealing design and a high build quality is necessary aside of good sound quality. This is exactly where the MF200 shines. I am not sure where to start, really. The metal build, real leather materials, aluminum cups or the tangle-free cable? I will let the pictures speak for themselves mostly. It took me four days until I noticed the ring around the aluminum cups is made from real leather. It’s these kind of details that I really appreciate. The cable is worth more than a single paragraph, but I want to keep it short. It feels really sturdy, falls flat and has no microphonics! It is a few cm too long for my taste, however it comes with an attached cable wrapper made from rubber so you can trim the length to whatever suits you best. I have not found a single material or production flaw with my unit. 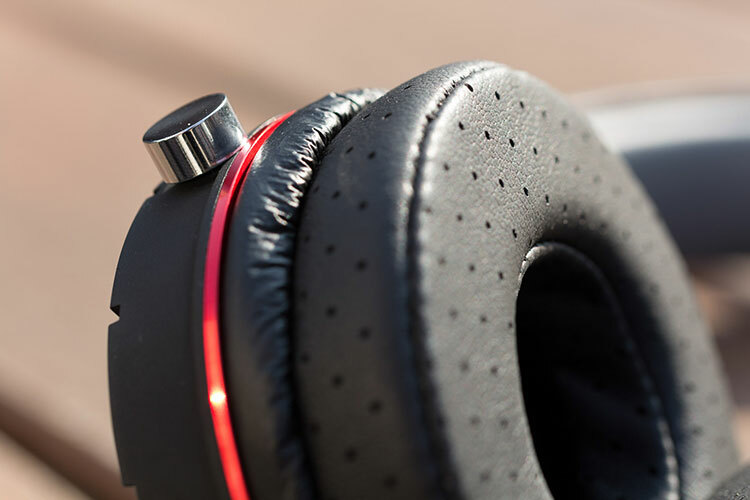 Musical Fidelity opted for an on-ear design, meaning that the ear pads press on the ear instead of surrounding it completely; the advantage being a smaller and more portable design at the cost of less comfort in most cases. 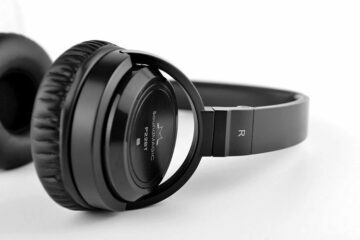 The market offers a lot more over-ears but personally I don’t feel comfortable wearing a full-sized headphone out in the open as it attracts too much attention. If in-ear systems are not an option (because of hygienic or security concerns), on-ear designs are a favourable option. Comfort will largely depend on the shape of your ears and how strong the pressure is. In my case, I had no problems wearing the headphones for three hours. After that I wanted to take them off. The time was reduced by an hour when wearing glasses. I did need a few days to find the optimal balance between comfort and sound, but in the end it was worth it. As expected, the pads fit better after extended use. I opted for the leather pads although I think the velours have an audible advantage and smoother midrange. However, the feeling of leather on my ears is quite nice. Overall comfort is still below that of Fidelio M, P5 or H2. On-ears do have another advantage over full-size cans: ears don’t heat up as quickly and this definitely holds true for the MF200 as well. Isolation in and out is not optimal but good enough for portable use. The passive isolation allows me to clearly understand announcements about incoming trains. If you are planning a purchase for a flight, there will be better options but they will do perfectly fine in the lobby of a hotel or a café in the streets. My current favorite, with the little bit of EQ as described in the review. It’s nice to have a product that goes against the tide of warmer, bassier, etc.